Civil Litigation, Labor & Employment Law, including Special Education (representing School Districts in litigation and training); and Insurance Defense. Ann Alexander was born in Lodi, California, on October 15, 1954. She graduated from Boise State University in 1975 with a degree in English. In 1982, she completed a Master’s Degree in Education, and in 1987 she earned a Ph.D. in Elementary Education, both from the University of Arizona. She graduated from the University of the Pacific McGeorge School of Law in 1999. 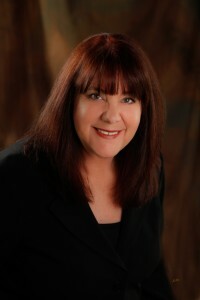 Dr. Alexander was admitted to the State Bar of Nevada and the State Bar of California in 2000. She is also admitted to practice in the U.S. District Court for the District of Nevada, and the U.S. Supreme Court. She joined Erickson, Thorpe & Swainston in September 2007, following seven years as a solo practitioner. Dr. Alexander is a member of the American Bar Association, the Nevada Bar Association and the Northern Nevada Women Lawyer’s Association. She is also a member of the Nevada Association of Defense Counsel, the Association of Defense Counsel of Northern California and Nevada, the Defense Research Institute, and various professional organizations in the field of education. Dr. Alexander is a frequent presenter at state, regional, and national conferences concerning special education law. She is the co-author of the “A Special Education Guide for Nevada School Administrators” and numerous other books and articles.